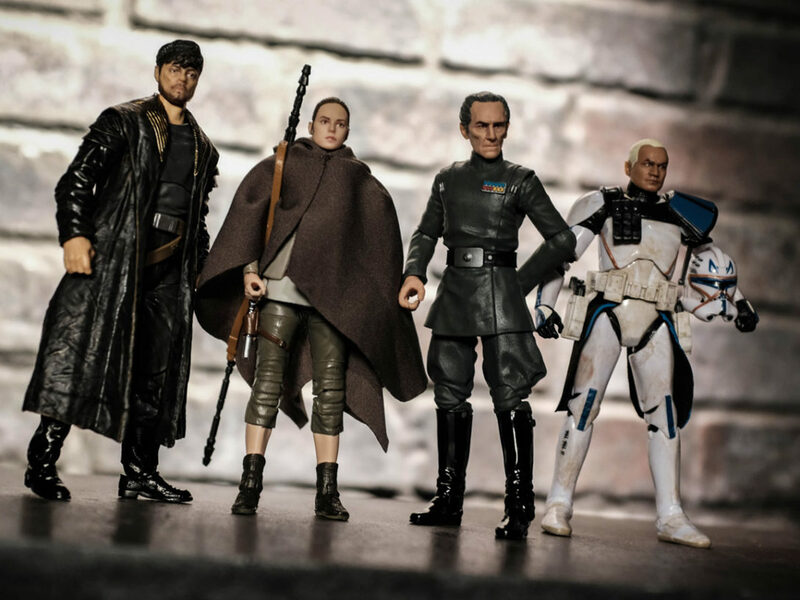 If you are a fan of custom dioramas, you may know me already, for those not yet familiar, let me introduce myself… my name is Frank D’iorio, I am a native Montrealer who by day works as a freelance motion picture digital compositor and on weekends, builds Star Wars action figure dioramas. Like most of you reading this, Star Wars greatly influenced my life both personally and professionally. 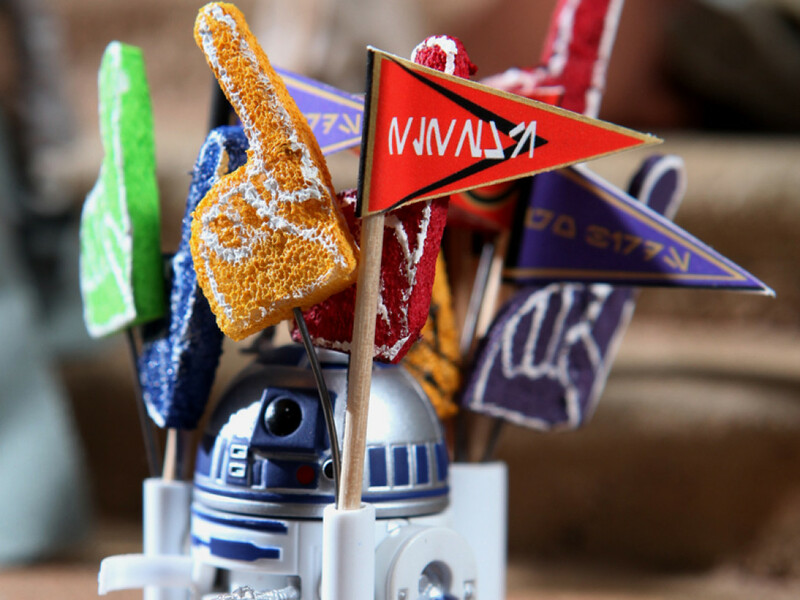 As I head into the final stretch of designing the final prototypes and tutorials for the Celebration VI Diorama Workshop, which is now just 3 weeks away – OMG is it REALLY THAT CLOSE ? – I can’t help but be amazed at just how far my team and I have come in this, our tenth Anniversary doing Diorama Workshops with Lucasfilm. 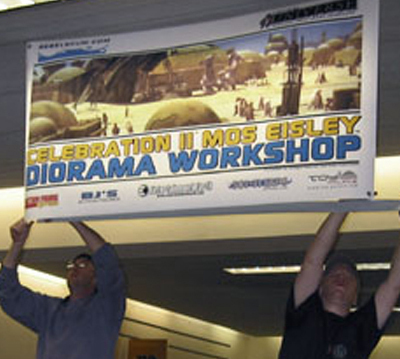 It all started in 2002 with a question I pitched to Rebelscum’s Philip Wise: Do you ever think kids would like to make Dioramas at a convention? 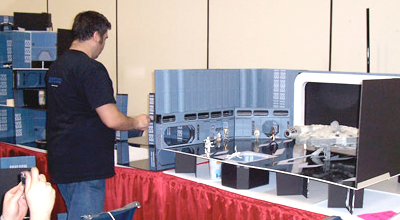 Philip then brought the idea to Lucasfilm’s Events Lead, Mary Frankin, who was in the process of developing Star Wars Celebration II, who then agreed to give me the chance of a lifetime… to bring my passion for Dioramas to an Official Star Wars convention. Driving from Montreal to Indianapolis that summer in a rental van so jam packed with Art supplies and my diorama displays (the customs agent had a hard time believing that I was not opening a toy store in the US) I really had NO clue to what I was jumping into. Sure I convinced my friend Lucie to come help me – which was a miracle in itself as she – gasp – doesn’t know the difference between Han Solo and Yoda. But as a great friend since University, I knew she would have my back if the workshop turned into a complete disaster. I can’t say that all went smoothly – the FIRST DAY – it was 4 pm and we had only 6 builders, and I thought “OMG no one is coming … it will be a huge flop”. Then BAM – the floodgates – where did all these people come from? The stress level was very high as we ran out of plaster bandages noon on day two and had to have fans run to the drug store across from the convention center to buy up newspapers for Papier Mache techniques on day 2. With the success of CII, Lucasfilm invited us to come back but what do I build this time? How about the Death Star? Using Foamcore, hot glue and sticker sheet decals that I created (and still available for free download at dioramaworkshop.com) the fans had a great time creating separate rooms and hallways that would be stacked side by side for the final 100 foot long display. What made this adventure more enjoyable for me personally, was that some fans that had come build at CII, now wanted to help as staff members and give me a well deserved hand at helping the more than 300 kids and parents who came to build at the show. Now this Celebration has special meaning for me. Not only were we going to a new city: LA – but winter 2007 was also my first contract working at ILM. A dream I had since I first saw Star Wars in 1977. As a longtime Lucasfilm fan, here I was in total heaven – doing compositing on Transformers during the day and designing Endor at night and on weekends. What this also meant is that instead of e-mails, I could ride the elevator from the 2nd floor (ILM) to the 5th floor (Lucasfilm) and visit Mary and Steve Sansweet in PERSON for our brainstorming sessions. How cool is that? I know many people hate the Ewoks. Well I happen to like the Ewoks and planting paper bark trees and creating a full scale home for my furry friends was just a blast. 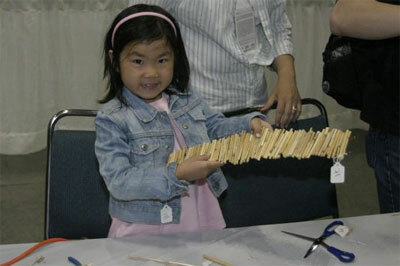 Who knew that you could make such an amazing display with such simple materials and techniques? 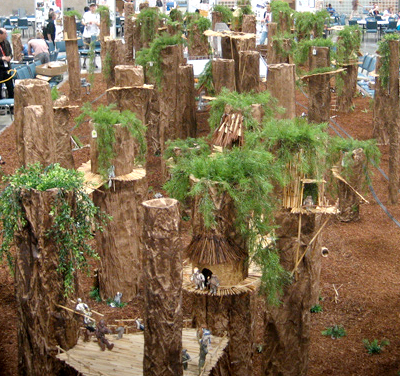 The Ewok Landscaping Workshop was a fantastic success. We jumped from 300 to 800 builders creating a 200 foot diorama and our first convention where Hasbro got involved donating tons of toys to populate the forest and give away to the kids on the Sunday. 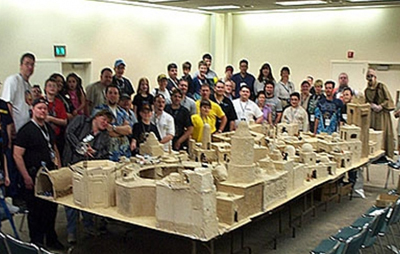 For those who have never been to a workshop, the cool thing is that on last day – all who built get to take their section plus all the Figures on display, home as their workshop souvenir. How cool is that? So what does one build when visiting one of the hottest cities in the US? Well hoth of course! Thank god for Air Conditioning because it was HOT. 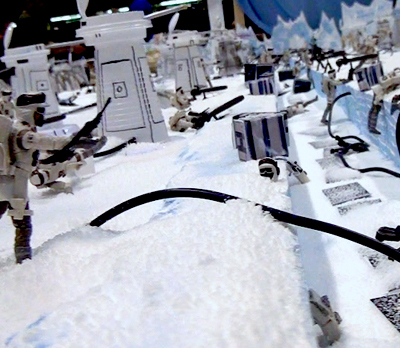 Hoth would have melted outside, even if it was made of Styrofoam. Oh the stories I have to tell about Hoth… the heat, the bad luck, flashdance, strawberry daiquiris, Star Tours and the smell of burning styrofoam making its way to the actors autograph area where everyone asked “what is that smell???”. I can assure you ALL – there will be NO Styrofoam burning at CVI! Joking aside, this was the first time where I can say the Diorama Workshop went viral. I had fans tell us that they came to Celebration just to build. Had we not come back, they would have stayed home. How crazy is that? The geek-fan side of my brain still finds it hard to comprehend. We also were expecting 2000 builders based on past convention growth. We got 1400 on day one! Simply Awesome. 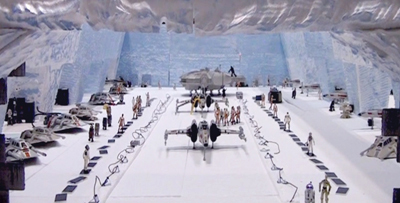 In just 4 days kids the most impressive Echo Base – including the Rebel trenches on what was a 300 foot Diorama. 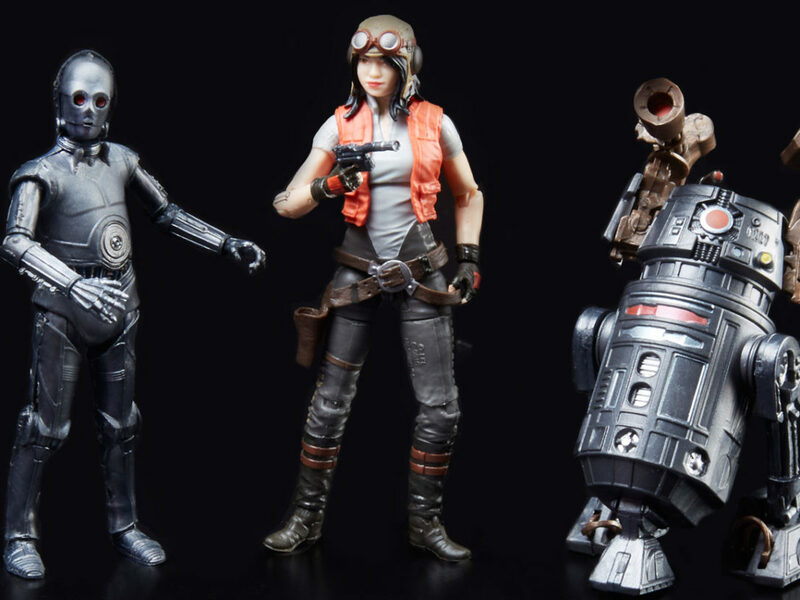 Hasbro also came through with flying colors donating hundreds of Rebel and Imperial figures plus 8 of the new giant AT-AT’s. When we gave those to the kids on Sunday, their Jaws just dropped to the floor. This year is our biggest ever workshop yet. More than 8,700 square feet and 400 feet just for the diorama itself. 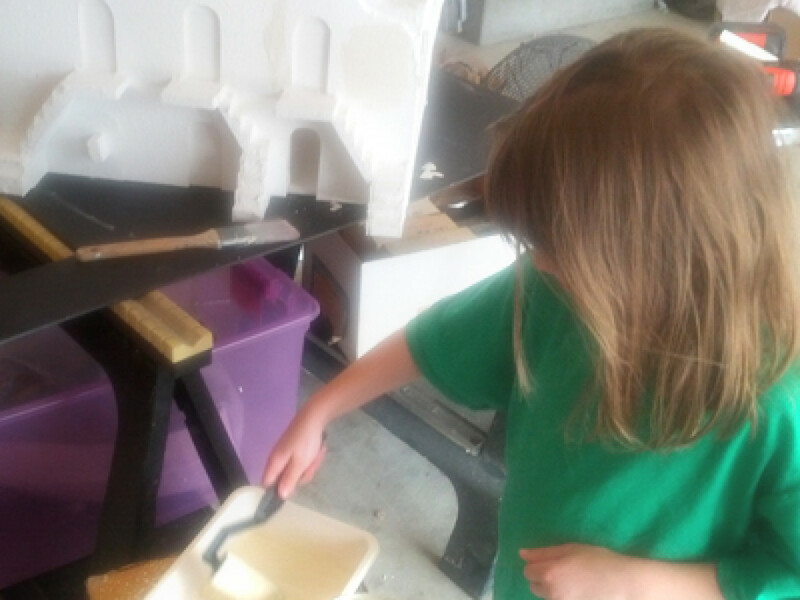 The kids (and grown-ups too) who will come and build with us are in for… you can’t even begin to imagine what we have in store for them… but that is another story for another day. Stay tuned. You can see all the Celebration VI Diorama Workshop coverage and pre-production pictures at our site dioramaworkshop.com and follow me on Twitter @dioramaworkshop to see live builds of the workshop prototypes leading up to the show.